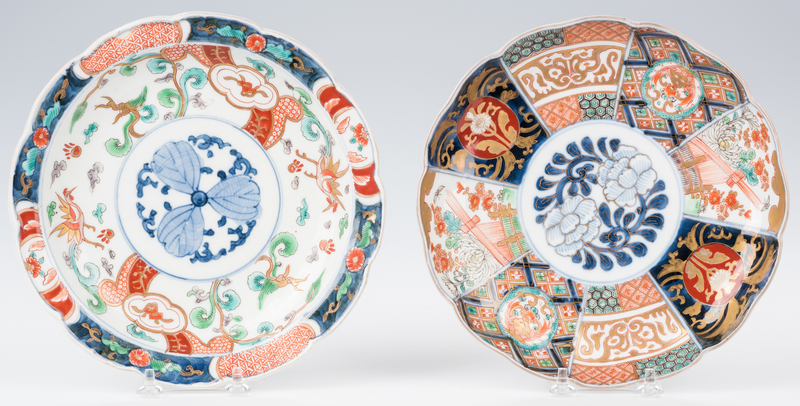 Assembled group of twenty-five (25) Japanese Imari or Arita plates, all with scalloped rims, alternating panel decoration to the fronts and outer rim decoration. 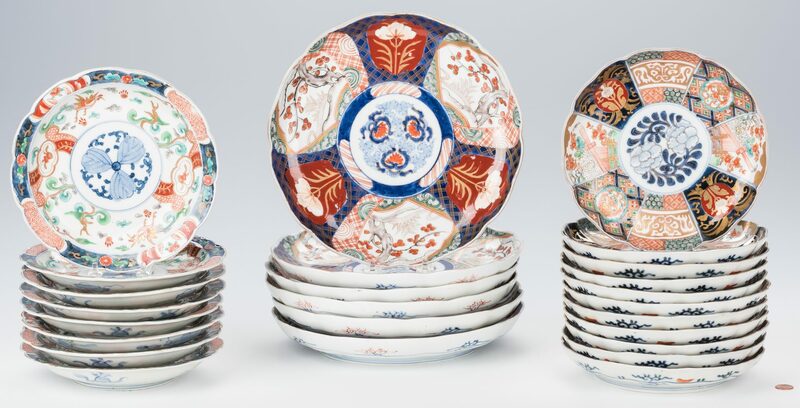 Including six (6) dinner plates (11" dia), eleven (11) luncheon sized plates of one design (8 1/2" dia. 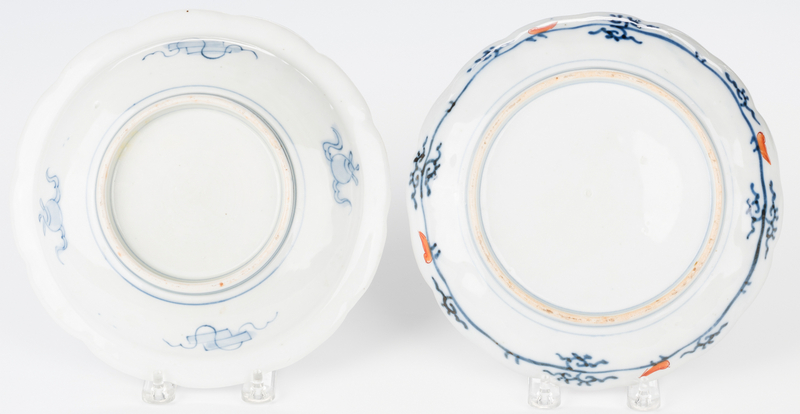 ), and eight (8) luncheon plates of another design (8 1/2" dia). All Early 20th century. 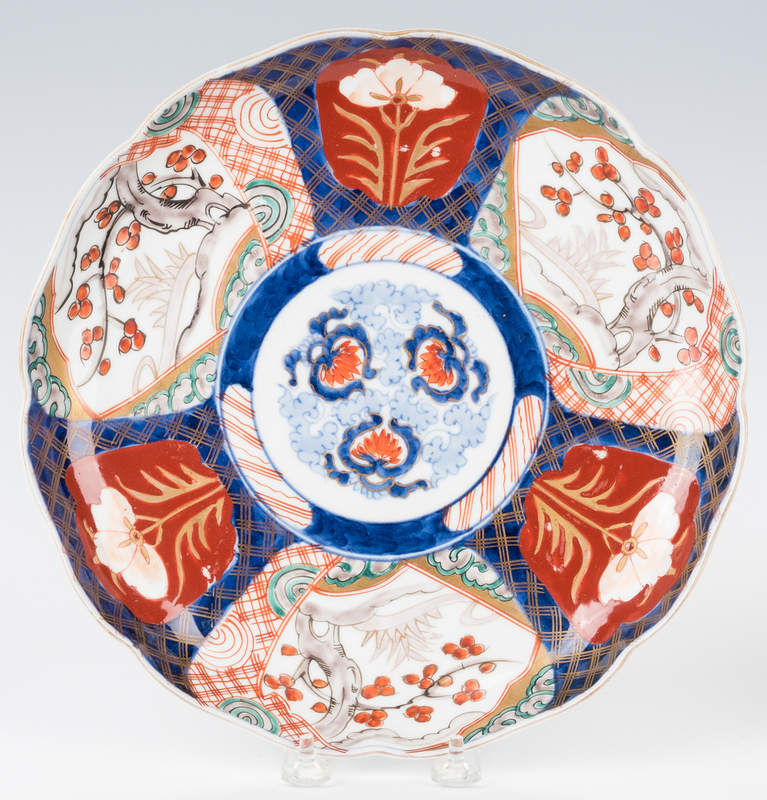 Provenance: Private Louisville, TN collection. 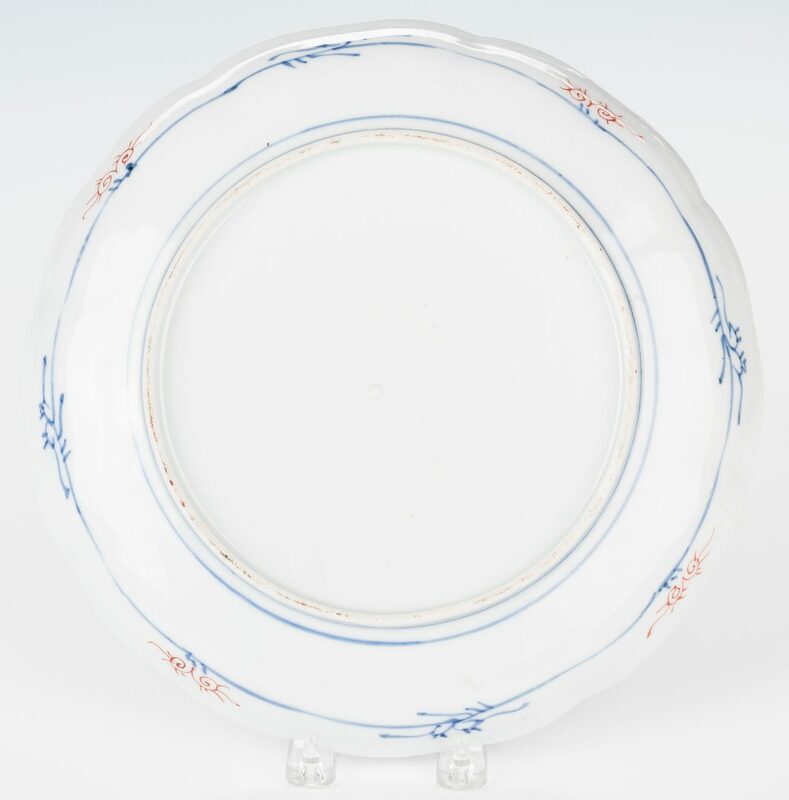 CONDITION: One dinner plate with chip to rim. 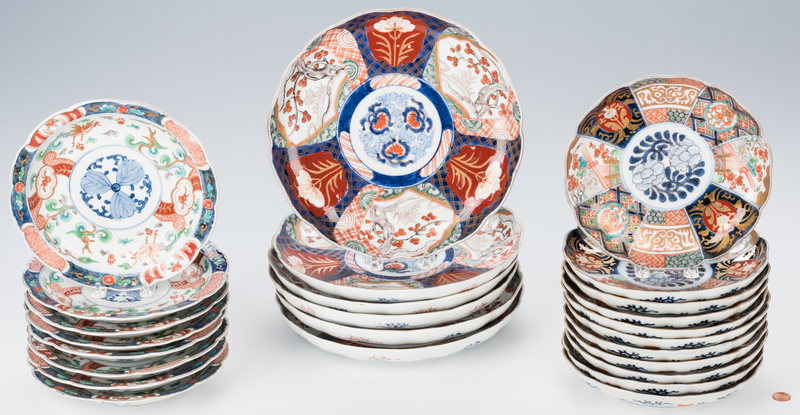 All plates overall good condition, a few with minor wear to enameled decoration.